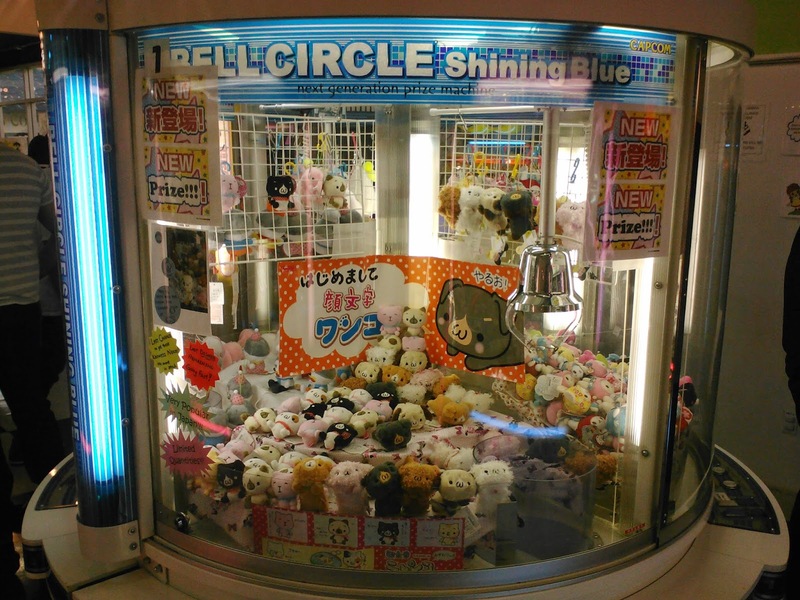 Recently in Japan Town (San Francisco) I tried my luck at winning a kitty in one of the claw machines. As much as I tried I did not win. I was so bummed. My heart was set on a wee kitten plush! I think I have only won something once in a claw machine, my sister on the other hand was really good with them! 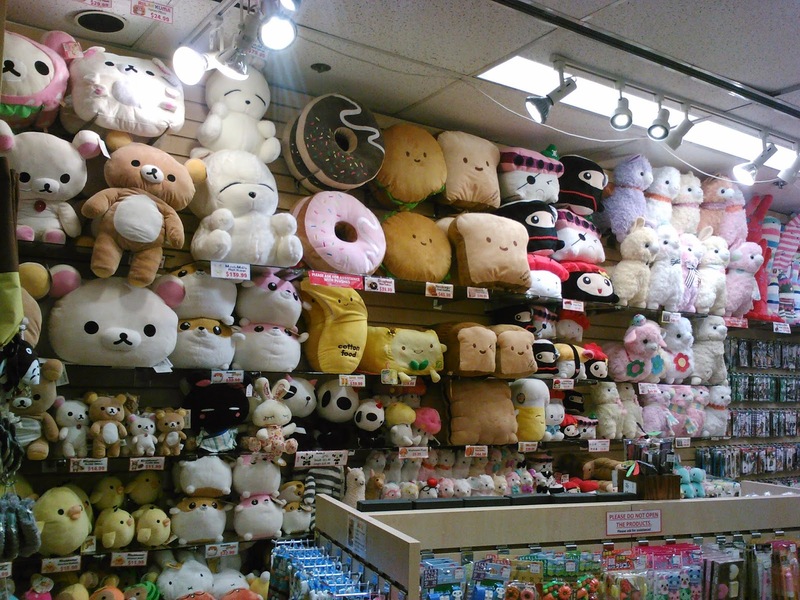 Plushy paradise - look at all that cute! I think I wanted one of everything. Only if I had the room and the money! Total cute overload! 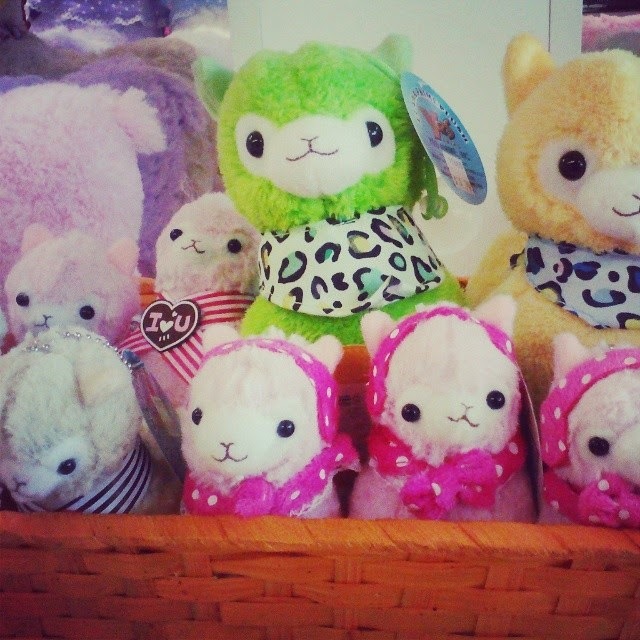 A basket full of stylish alpacas! 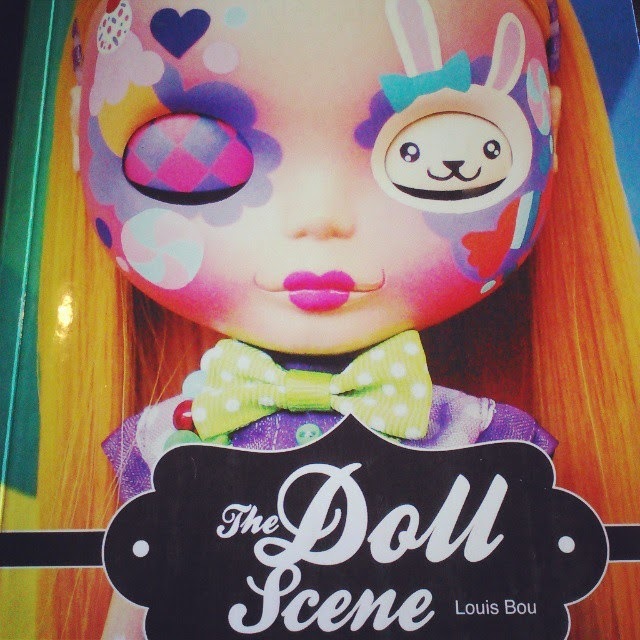 A book I bought myself - because playing with dolls never gets old! I could have spent more time and loads more money. If only I could carry a giant neon alpaca or food plushie home on BART! Went to the Bay Area last Saturday for food and shopping. Had a good time till after dinner when I believe I got food poisoning from Loving Hut in Westfeild Mall in San Francisco grabbing a quick dinner before everyone was closing up shop. Started the day off with Sanctuary Bistro's brunch menu. It is a new place, we found parking right away and got in even though the place was crowded! I had ingredient questions based on my food allergies, the server brought out the chef and after I explained my food allergies (since some of the menu items had those ingredients listed), he smirked rather rudely. Sorry dude I do not want to get sick. The service was odd, our server brought out condiments one at a time, instead of bringing things out all together on a tray saving 4 trips back to the kitchen. I asked for almond milk for my coffee and was told it would curdle, I asked for soy, again the same response. After telling her I do not like Silk Soy Creamer because it's to sweet I got plain soy milk finally! At home in my coffee and tea I only do almond milk - unsweetened. If I am out I ask for almond milk but will settle for soy, curdle be damned! I ordered the chocolate chip waffle for $9. It is gluten free, comes with house made vegan butter and maple syrup.I was kinda disappointed that fresh fruit was not sliced on top, a few slices of fruit would really have made it look more satisfying. I put a bit of butter on it and a drizzle of syrup, tried to cut into it, gave up, tore a piece off and took a bite. It tasted like a waffle for the first bite, that butter caramelized waffle iron taste that makes you want more. 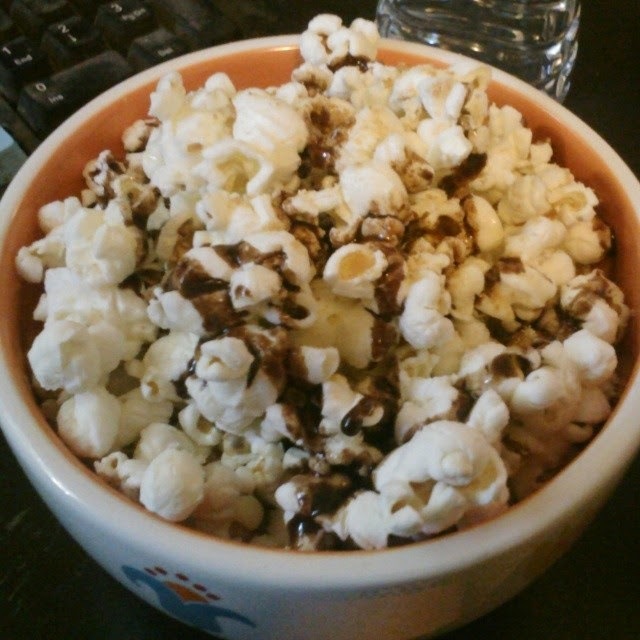 However the taste quickly vanishes and there really was no taste left after that unless your bite has a few chocolate chips in it. The texture was really hard to chew, the syrup would not soak in and I ended up using more butter and syrup than I normally would and most of it being left on my plate. After eating the waffle my jaw was sore, seriously it ached, I longed for an aspirin. Matt went for the ranchero with tofu scramble for $10, as his pick (his other choice was scrambled polenta which sounds interesting but Matt is a tofu guy). It came with potatoes - nice crunch on them and greens. 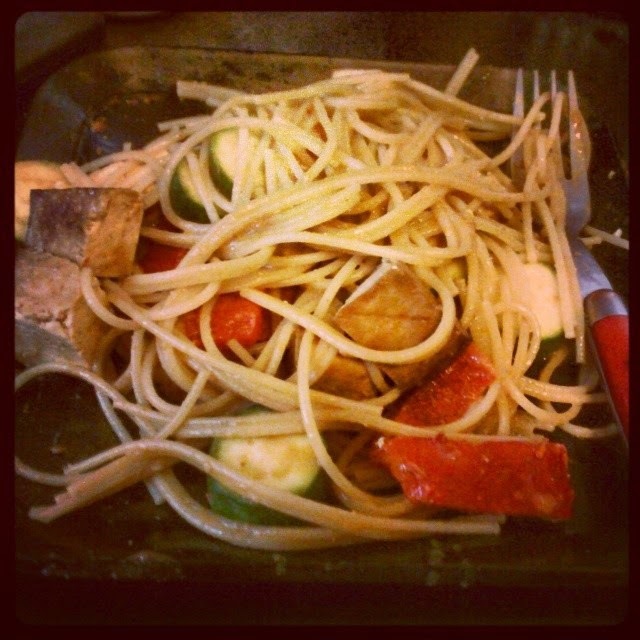 It was a good plate, basic but comforting. The only complaint is that they seem to use a base scramble for their items. The scramble had broccoli - something that kinda killed the whole ranchero vibe. We do plan on going back again, trying different things. I had a Kickstarter reward that I did not use. As with any new place, I know there are kinks that need to be worked out. I do think the both service and food could be improved upon and hope changes are made. Sanctuary Bistro is located at 1019 Camelia St., Berkeley, CA 94710. I had a Groupon about to expire to Cinnaholic, we always put that area off because parking is so hard to come by. This time we lucked out and had parking on our first try. I picked out the jelly doughnut roll and some brownies for us to share. I inquired about coffee, the server was vague about either not having it right then or trying to get some. So as Matt waited I went a few doors down to StarBucks for a cup of coffee (I need coffee with my sweets!). The cinnamon roll strait from the oven was heaven in a box. The sweetness of the icing, the tartness from the strawberry jelly and the earthy notes of cinnamon in the crumble just go together so well. We took some brownies for our way home - knowing they could sit in the car for five hours without going bad. They were really good too. Super chocolatey and a taste that is very classic! Just released The Stay Home Girlfriend #10! Vegan recipes, living with OCD, hip guide to NY, interview with the founder/rad lady in charge better known as JoJo of Operation Icing, kitten love and more! Go buy a copy today!